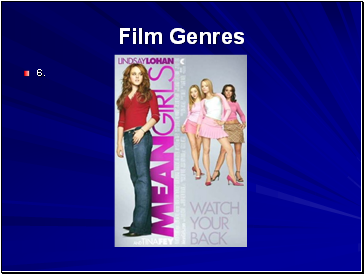 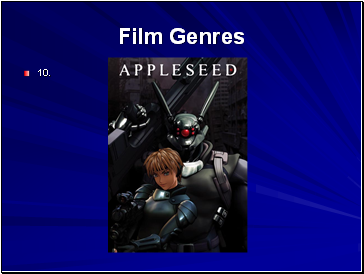 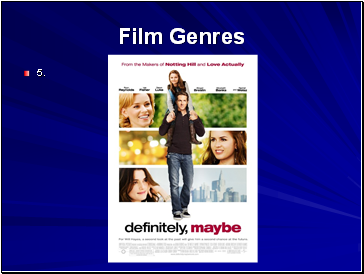 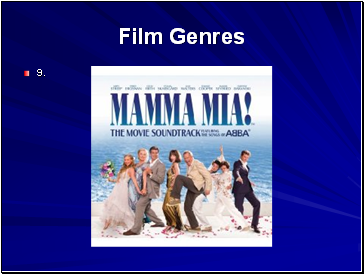 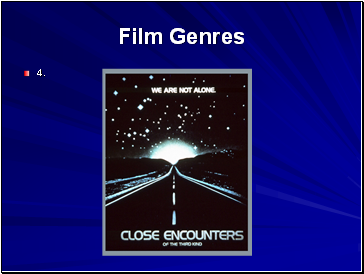 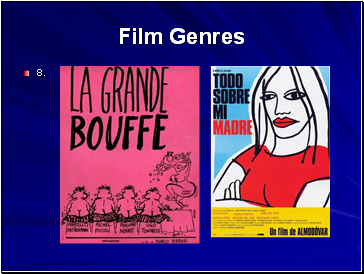 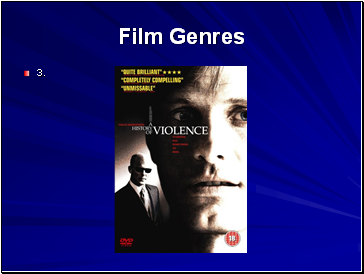 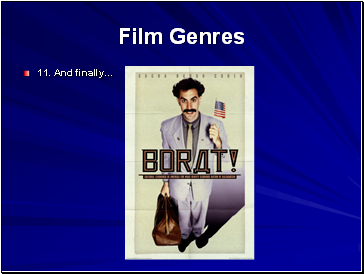 A genre is a ‘type’ of film. 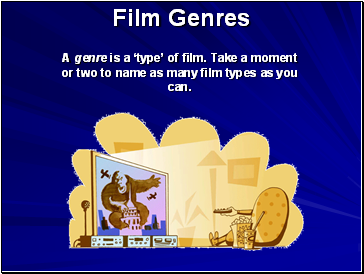 Take a moment or two to name as many film types as you can. 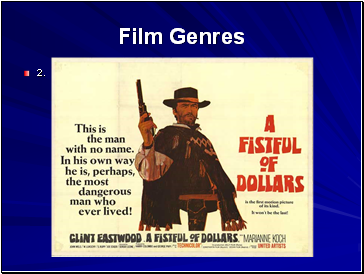 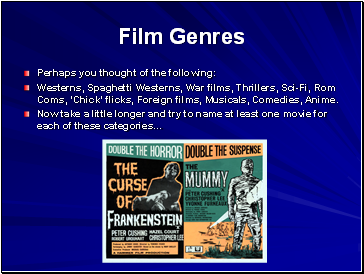 Westerns, Spaghetti Westerns, War films, Thrillers, Sci-Fi, Rom Coms, ‘Chick’ flicks, Foreign films, Musicals, Comedies, Anime. 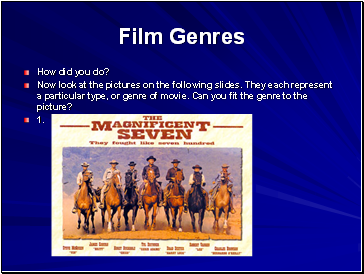 Now look at the pictures on the following slides. 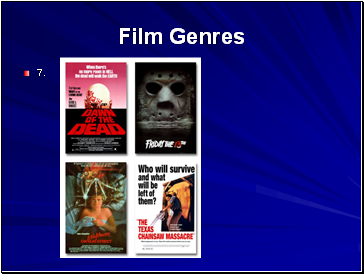 They each represent a particular type, or genre of movie. 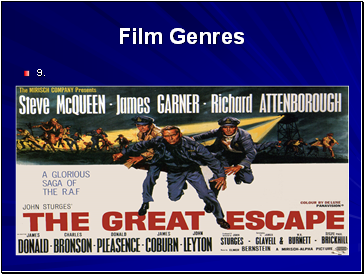 Can you fit the genre to the picture? 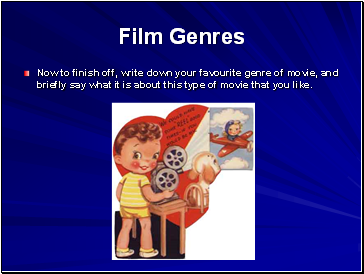 Now to finish off, write down your favourite genre of movie, and briefly say what it is about this type of movie that you like.